In order to banish any other window in the notification area (To-tray) of the Windows taskbar, the right-click option, on the close button must be enabled in DesktopOK ! (Image-1) Minimize programs to tray, via RIGHT-CLICK on Close Button! 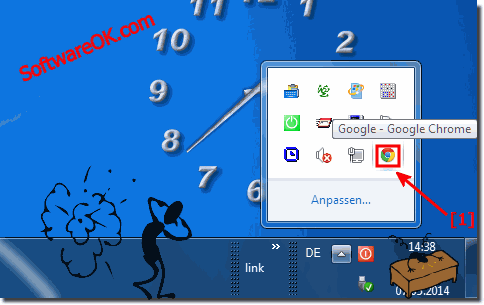 (Image-2) minimize all Windows to tray, with this Freeware! (Image-3) Restore other programs from to tray! DesktopOK - FAQ-13: How can I minimize the other programs to tray, with this Freeware?